Does Connor McDavid Deserve to Win the Calder Trophy? Before the season started, most hockey pundits were predicting a two-horse race for the Calder Trophy between Connor McDavid and Jack Eichel. But an early injury to McDavid derailed those plans, and opened up the Calder race to other candidates. Since his return, McDavid has been putting up points at a rapid pace, and has the best points-per-game average among all rookies. He’s also among the overall leaders in points since the All-Star break. It’s safe to say he would likely be leading the rookie scoring race had he played all season. His candidacy is in jeopardy because he hasn’t played as many games as his fellow first-year players, but will his point-producing pace be too difficult to overlook? 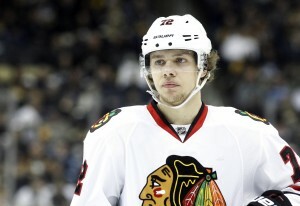 At the time that this article was written, Chicago Blackhawks rookie Artemi Panarin is leading the scoring race with 24 goals, 37 assists and 61 points in 65 games played. Eichel sits second with 20 goals, 26 assists and 46 points in 68 games played. 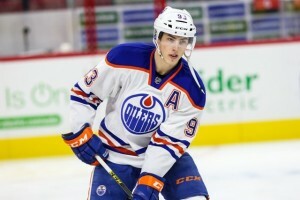 McDavid is ranked seventh, with 13 goals, 21 assists and 34 points in just 32 games played. In fact, he’s played the least amount of games among the top-20 in rookie scoring. There’s no denying the fact that he had he not gotten injured, he would likely be the favorite to win. The question is, considering the points-per-game pace, the fact that he didn’t miss a beat after a serious injury, and his ability to make other players around him better, does McDavid deserve real Calder trophy consideration? The reality that Panarin is 24 years old (five years older than McDavid), plays on one of the best teams in the league, and plays with the league’s leading scorer in Patrick Kane, likely won’t be taken into consideration when deciding whether or not he’s worthy. Would he have this many points playing on a non-playoff team, with lower caliber linemates? We’ll never know the answer to that, so for the McDavid supporters, it’s a moot point. The trend of Calder voting seems to value goals and points, and Panarin is way ahead of the pack. With just 13 games left on the schedule, McDavid won’t be catching up. But, there have been years where a defenceman or goalie has won over a forward, because they were so dominant at their position, they had to win. There have been other times where having the most goals didn’t guarantee a victory. Could McDavid garner votes in a similar fashion? Has he been good enough to have that special consideration? Will the voters consider his age, the amount of games he’s played, and his points-per-game? Although the fact that he’s played fewer games and has so many points shows what a talented player he is, will that end up working against him? The ability to stay in the lineup is looked at favorable, even though his injury was a fluke. Let’s take a walk down memory lane of recent Calder Trophy winners. Bobby Ryan would have been very deserving any other year, but young Mason was hard to deny, as he led the Columbus Blue Jackets to the playoffs for the first time in their franchise history. He was also a Vezina trophy nominee, though he ultimately lost out. Goalies don’t win this award very often, because it’s one of the most difficult positions to play, and play well. Mason wasn’t even supposed to be the starter, but after Pascal Leclaire was injured, he was thrust into the role and performed exceptionally well. It’s very uncommon for a defenceman and a goalie to be ranked 1-2 in Calder voting, but it was one of those years. Myers was a plus-13 on the year, and looked like a seasoned veteran playing against some tough competition. Matt Duchene came in third place, despite his strong totals of 24 goals and 55 points. Myers suited up for all 82 games that season, which is seen as an important accomplishment among voters. Although Couture had the slight edge in goals, Skinner’s larger point total likely secured him the win. As an 18 year-old breaking into the league, scoring 30+ goals is something to be recognized. So in this instance, age was a factor. Skinner also played in all 82 games as a fresh-faced rookie, while Couture got his feet wet in the NHL the previous year, playing in 25 regular season games. Although Nugent-Hopkins played fewer games, the voters placed the value on the goal totals, and the fact that Landeskog played in all 82 games, which is an impressive feat for a rookie. The first place voting wasn’t close, as Landeskog received 116 votes and Nugent-Hopkins just 26. Clearly, the emphasis was placed on the ability to suit up for a full season, and hitting the 20-goal plateau. Gallageher had more goals, while Huberdeau had more points. Obviously, there would have had to be a larger discrepancy between goal totals for it to take precedence over the number of points. The voters, however, didn’t quite see eye to eye. Both players received 54 first place votes. Huberdeau had the edge in second and third place votes which gave him the win, but it wasn’t a blowout by any means. Mark Stone came out of nowhere and had a huge second half for the Senators, helping propel them into the playoffs. But Ekblad’s consistency, and solid play from start to finish gave him the edge in voting. For an 18-year old defenceman to look so poised, so calm under pressure and so confident with the puck, it would have been really difficult not to give Ekblad the trophy. There wasn’t a huge difference in first place voting, (71 to 47), so Stone did have his supporters. But with defence being such a tough and crucial position in the NHL, Ekblad was extremely deserving. If McDavid can reach the 20-goal mark, it could help his case, but that still wouldn’t guarantee anything. As much as you would love to see his skill rewarded, it just doesn’t seem likely he will take home the hardware this season. The good news is, McDavid looks as good as advertised, and you can be sure that if he stays healthy, there will be plenty of trophies in his future. Oiler fans are hoping that includes a big silver one.